A satirical map of the much-delayed Second Avenue Line of the New York subway system. The line is shown, as planned, running from "El Barrio" at East 125th Street to the Financial District, but in this version it includes a number of added stops along the way, including Las Vegas, Mt Fuji, Saturn and Yukon Territories. A commentary not only on the slow pace of construction for this line, but the difficult path from the Bronx to Wall Street. 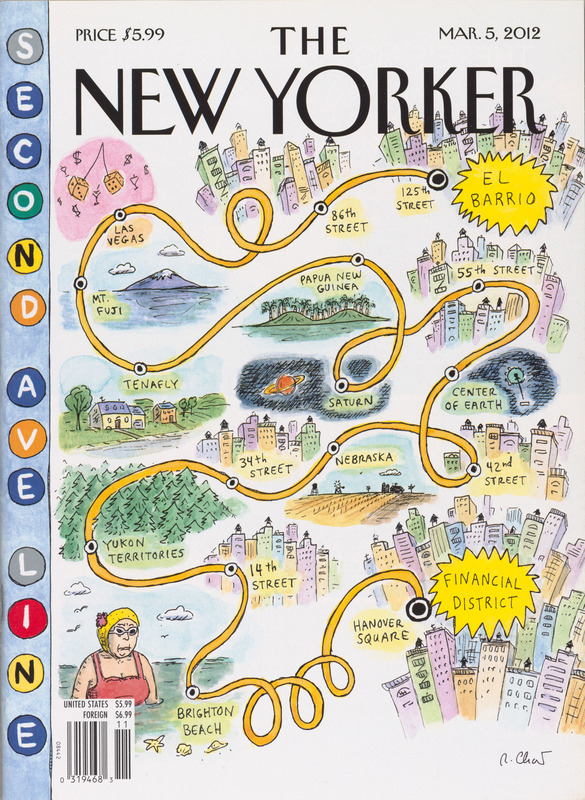 The New Yorker, March 5, 2012.